Home »Unlabelled » Rooms with different designs. Interior designing is a way to catch different kind of life style, design innovations, lively touch to the spaces according to your personal choices and budget. Here are few room with a very rare and awesome touch of design ideas which can turn your simple rooms into design wonders and aesthetically lovable place. 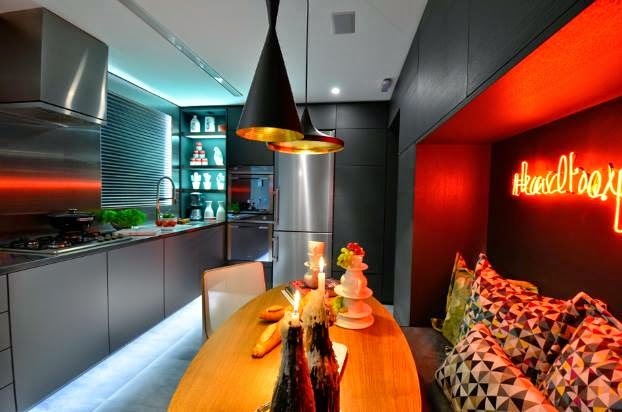 Give your kitchen seating area a range of fire design with some red lighting, colorful cushions and a long table bench. Putting in cushions and red light in kitchen is quite rare but it produces an awesome combination to your cooking place and recipe. 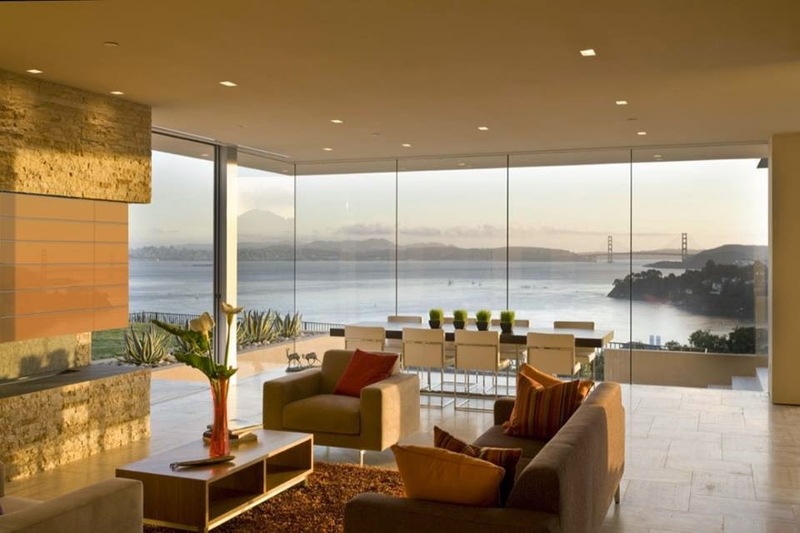 Sit inside and enjoy the lap of nature with a long wall surroundings of glass in your living room area. Get in direct touch with nature 24/7 without any distraction and disability. Fabricate your simple living room into the wonderful sight of nature and peace. Simple tool behind is the long lengthily fully glass walls. White is the color which can be easily blended with any kind of pattern, design and other color. It has it own light but impressive impact to get well mixed up with colorful palate of design. 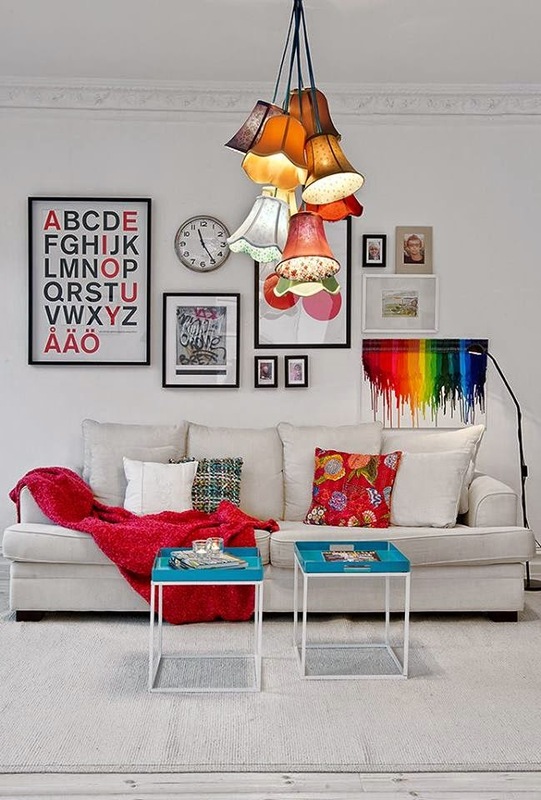 So, mix it well with different colors to get in touch with the generation next designing. Living room with white sofa set .. an ottoman and a white center table when escorted well with colorful accessories, colorful cushions and light prepares the most wonderful, classy, eye-catching and impressive looks forever. Woods are always being a favorite part of designing. They never fail to impress interior designing of any respective room. Living room with a long wall wood paneling is one of the example of the successful and wonderful impressions of wood designing. Make it raw with modern touch and unique look. Simply white.. without even touch of a single dot of any other color. Pure, peaceful and relaxing space to be in. Yes, white is the purest forms of design and peace. Welcome it for your living rooms, bedrooms, etc. for a real and authentic peaceful pure space to be in. Interior designing has no end, a language which is different to translate in few words yet has its own power to rule the world, to rule each and every corner of construction, architecture and spaces. Make your world more special and unique with the unique sweet and impressive innovative ideas of Interior Designing.